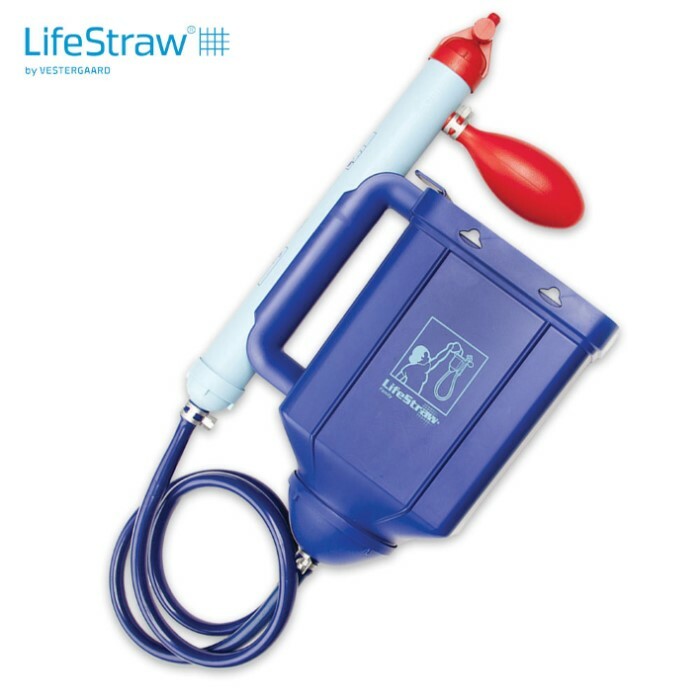 Lifestraw Family Water Purifier | BUDK.com - Knives & Swords At The Lowest Prices! Now you can purify enough water for your family for three to five years! 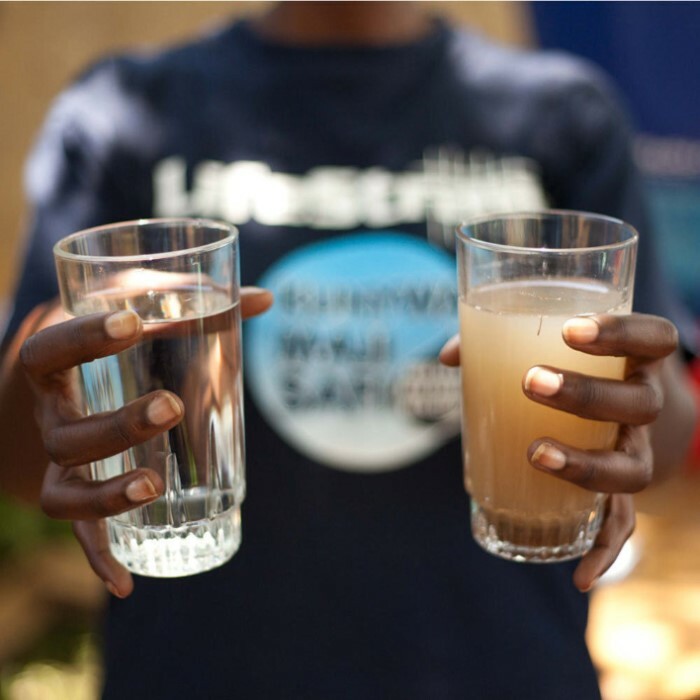 The Lifestraw Family Water Purifier can remove viruses, bacteria and protozoa to protect against waterborne diseases. The Family Water Purifier is lightweight and portable and can filter 18,000 liters of water. It is great for use during camping trips or emergency situations. Just received this yesterday, and I think it's awesome. Access to potable water has been the bane of most of civilization since the beginning of time. If you have access to a water source, ANY WATER SOURCE, including a grungy or dirty one, this just solved the problem. 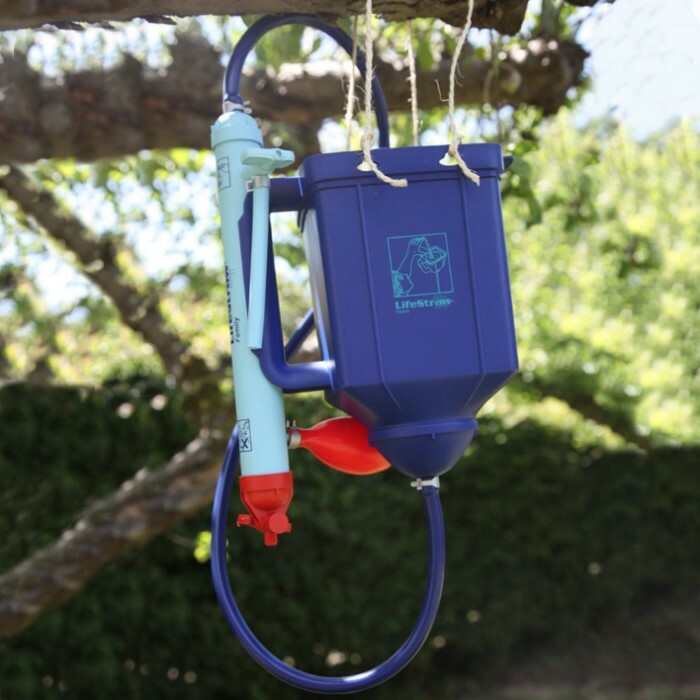 For those that are not inclined to run to a river, pond, creek or stream with a magic straw every time they get thirsty, this family unit is the thing for you! 1 trip to the water source with a 5 gallon bucket, and the family's daily needs for emergency water are met. Better, it will deliver clean water for a minimum of THREE YEARS! No household out there should be without one of these. No, they aren't cheap, but even for nominal emergencies like hurricanes, power outages, etc, clean healthy water is something you CANNOT put a price on. Every family in America should have one of these.... A good idea for neighborhoods, condo associations, etc. This one is a little more expensive, but totally worth it. 4755 gallons of water down to 0.02 microns is UNBELIEVABLE! Totally worth it and it filters out viruses too.